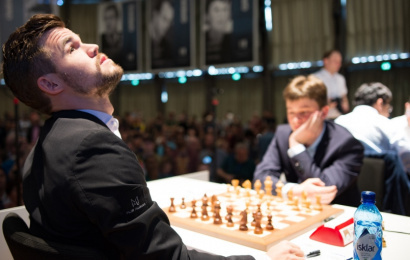 World Champion Magnus Carlsen beat Vincent Keymer in Round 1 of the 2019 GRENKE Chess Classic, but it took 6 hours, 40 minutes and 81 moves to break down the resistance of the 14-year-old German talent. Magnus credited his opponent with putting up “a great fight” in what became a rollercoaster of a game. The remaining clashes were all drawn, with Svidler-Caruana the most intriguing battle. It featured a repeat of Game 8 of the Carlsen-Caruana match in London, though Fabi switched colours. Andreikin: "I could get into professional gaming"
Goryachkina: "In women’s chess everything is possible"